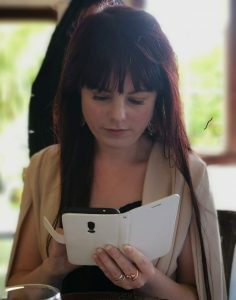 I wrote about Sugar Magnolia Wilson’s new collection for Booksellers New Zealand. It is an arresting treatise on gender, nature, love, and the unknowable depths of women. It is impossible to know what to say about this book because I want to say so many things about this book. It is complex and honest and heavy and light and tender and brutal. It is narrator and narrated. It is the moon and the people looking at the moon. 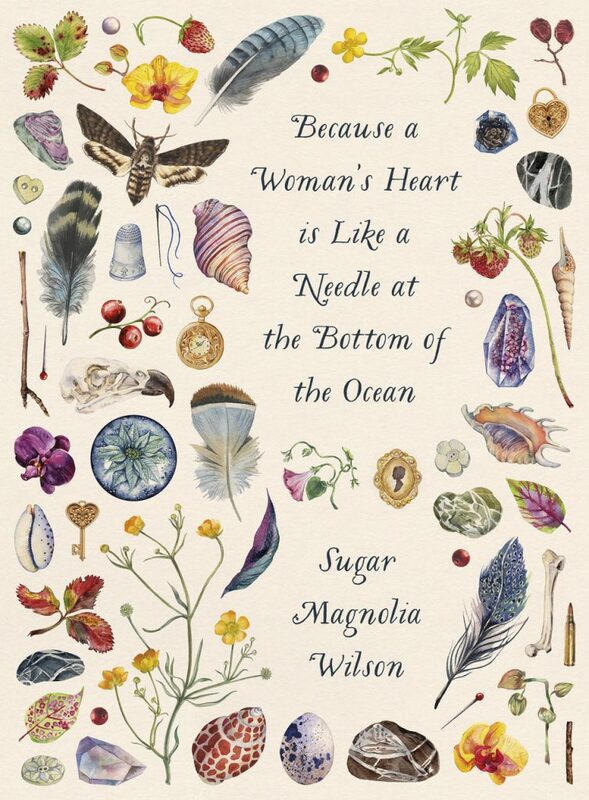 Sugar Magnolia Wilson graduated with her MA in Creative Writing from the International Institute of Modern Letters in 2012 and while she’s done so much since then, including publishing work independently and in journals and co-founding Sweet Mammalian, it feels as if she has spent the better part of six years creating this book. Like only a long incubation could form something so delicate and weighty and sharp. I opened first to the titular poem. I wanted to know what question the title was answering. Why is a woman’s heart this way? Are we defending her actions, or accusing her? Is it simply because her heart is as unknowable as a needle at the bottom of an ocean, and with the same potential to cause you to bleed if you were to ever uncover it? The poem answers none of those questions for me. But with its play on narrative voice, it’s mixture of English and Mandarin, it’s evocations of gender and nature, it does set the scene for the book. As does the opening series; nine poems, each titled Dear Sister, which appear from language and detail to take place in history, but could as easily be a conversation between women today. The fourth describes the needle of a woman’s heart through a gifted horse. me not to be myself. Read the full review at Booksellers NZ. This entry was posted in Uncategorised by writehanded. Bookmark the permalink.